This blog post is a personal reflection on the first annual DEWT peer conference that was held on June 11, 2011 (#DEWT1). The conference was opened with a (keynote worthy) presentation by Zeger van Hese on “Artful Testing”. Although quite a few items of his presentation struck a chord with me this post will only go deeper into one of them; “The hungry eye”. The story of the hungry eye shows how a change in perspective and representation can bring new insights and meaning to subjects that otherwise would be ignored. 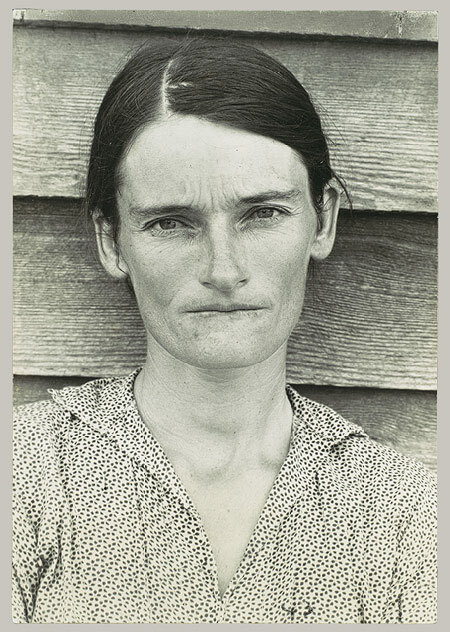 In 1936 Fortune Magazine sent a poet, James Agee, and a photographer, Walker Evans, to Hale County in Alabama to document the life of sharecroppers during the Depression. Once finished the magazine saw no reason to publish their lengthy and controversial work. James Agee refused to revise the initial draft and eventually they published it themselves as “Let Us Now Praise Famous Men?”. Although the book did not have a great start in his time during the fifties and sixties the poetic photo book was to become one of the most influential works to portray the brutal side of life in America. Walker Evans pursued his style of photography and was able to bring new meaning and perspective to otherwise ordinary objects. He was the first to have an exhibition devoted to the work of a single photographer in the Museum of Modern Art and eventually his style of photography became known as the “Hungry eye”. To me this “Hungry Eye” style or genre represents a ground breaking shift by Evans in how the field of photography looked at the world and how to represented this in a message to the viewers. Such a shift in genre is what links this to software testing for me. Software testing has used and is, like art, using different genres, such as the V-model, Waterfall , TMap or Agile to shape and structure its view on the world. All of these genres bring with them a modeled perspective of software development. The knowledge of these genres and the ability to identify them, to look critically at them or use them thoughtfully is one of the skills a good software tester should have in his toolkit. Of course eventually you may, and perhaps should, develop a preference of genre, but you should never lose sight of the possibility to change your perspective and use elements of a different genre that might bring you further. I am a passionate software tester and as such I have decided to share some of my thoughts with you the reader. The main topic of my blogs will, obviously, be on software testing, but anything I find interesting and that I can connect to software testing is eligeable to get on these pages also. I hope you enjoy my blog posts and encourage you to share your comments and you own opinions with me.